Well it’s finally here once again. The beginning of our peak season for catching trophy sized largemouth on West Lake Toho. It has started off with a bang, our guided trips have been producing between 15 and 30 bass on 4 hour trips. This is the start of the pre-spawn staging period. 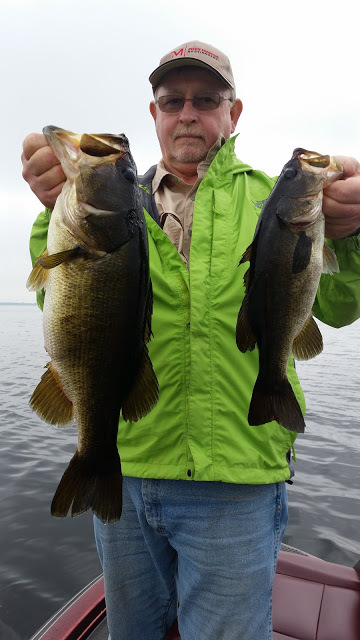 The bass on Lake Toho have been showing up in numbers and I mean bass in the 10 pound range. This is the time of year we all have been waiting for on the nations #1 trophy bass lake. 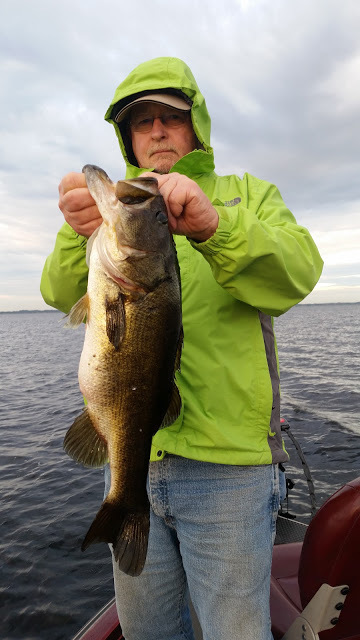 So if you are planning a trip to the Central Florida region sometime between Thanksgiving and Easter (which is the time of our peak season) come on down to Toho. This is the time to catch that bass of a lifetime. Captain Jackson will be glad to get you out on whatever day is best for you. We have 7 full time pro bass fishing guides that will work with you. But also keep in mind that this is also the busiest time of the year for us and days book up quick. My advice is to book your dates as early as possible. We are looking forward to fishing with you all soon, bass wishes.